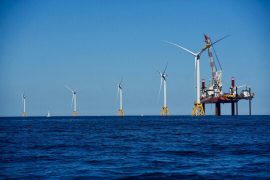 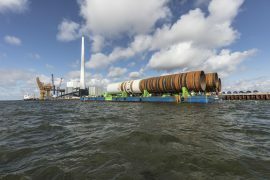 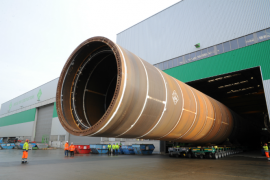 Ørsted has placed an order with EEW Special Pipe Constructions (SPC) for 165 monopiles for the 1.4GW Hornsea Project Two offshore wind farm in the UK. 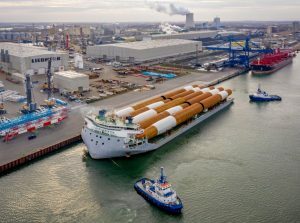 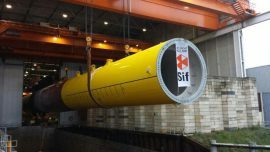 Sif has won a contract by Van Oord for the production of 77 monopiles for the Borssele III & IV offshore wind project in the Netherlands. 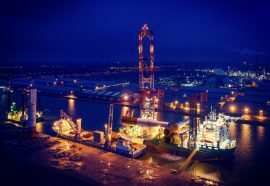 Dutch research institute Deltares has developed a new tool to model water replenishment and the chemical reactions of internal ICCP systems. 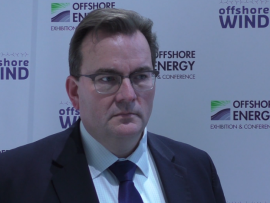 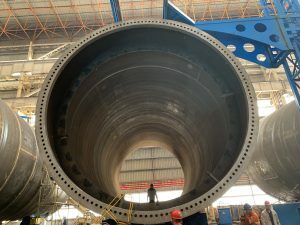 Monopile foundations are the best option for next generation turbines because they are the most cost-effective solution in the market, Michel Kurstjens, Chief Commercial Officer of Sif Group, said. 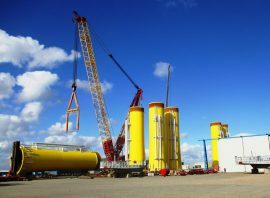 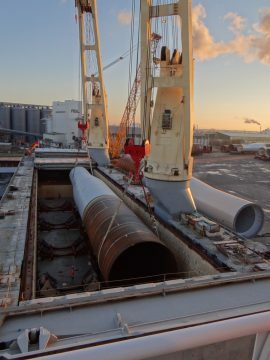 The installation of monopiles at the Arkona offshore wind farm site has been completed ahead of schedule with the last of the total of 60 monopiles now in place, allowing for an early start of the installation of the transition pieces. 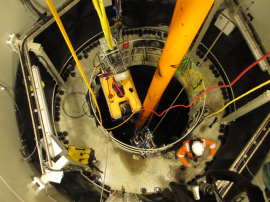 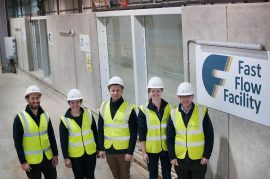 HR Wallingford has completed a ten week project with Oxford University’s Department of Engineering and Science and E.ON as part of the research aiming to minimise the effects of scour on wind turbine foundations. 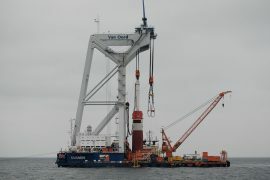 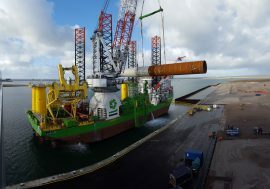 E.ON has posted a photo showing Van Oord’s heavy lift vessel Svanen installing monopile foundations on the 385MW Arkona offshore wind farm in the German Baltic Sea. 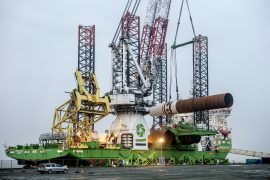 E.ON has kicked off the offshore construction phase on the 385MW Arkona offshore wind project with the installation of the first of the 60 monopile foundations in the German Baltic Sea. 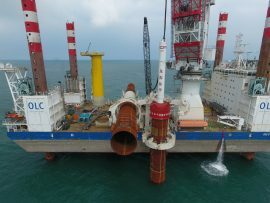 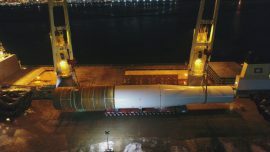 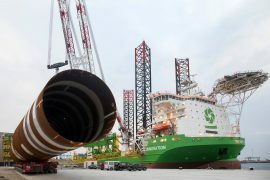 The first monopiles have been installed at the Rentel offshore wind farm, according to DEME Group, whose daughter company GeoSea is carrying out the works with its installation vessel Innovation.